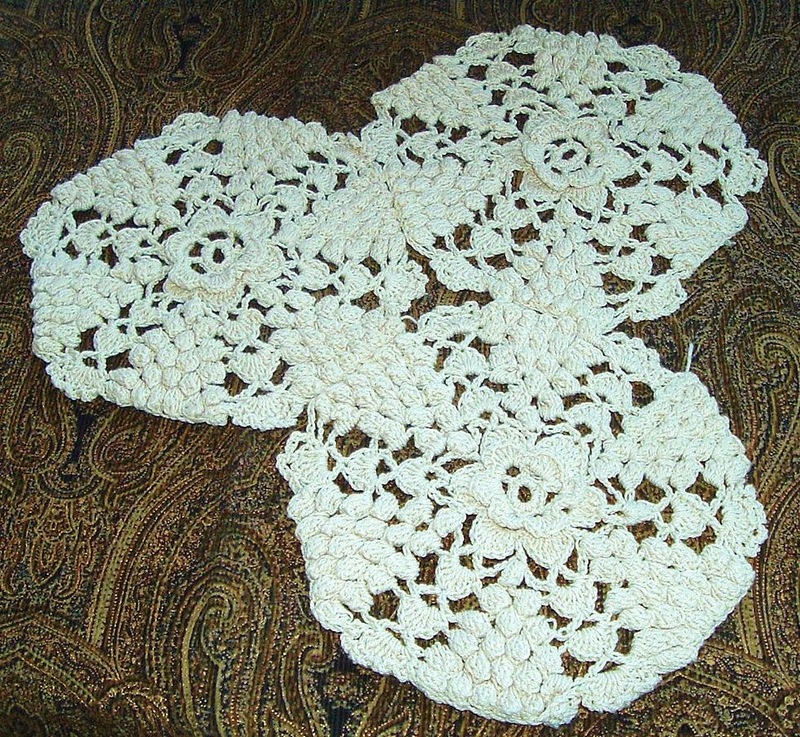 I started an Irish crochet bedspread this morning, finishing three hexagons. The pattern is named Irish Melody, first published by the Spool Thread Company in 1939. I`m using Knit-Cro-Sheen thread and a size 7 steel hook. 367 hexagons to go for the full size spread. 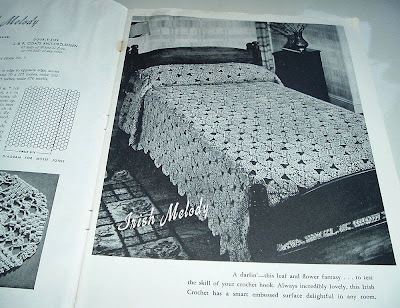 I`m a huge fan of Irish crochet and I`ve had this pattern book published by Dover Publications, about 15 years. Time to get started don`t you think? I have the time now to relax and enjoy my crochet work. The next photos show a different type of high desert beauty in the Kingman, Arizona area. A friend purchased this property and my husband took the pics on their recent trip there. There are small fish in the stream. I think the elevation is about 4,500 feet. Maybe higher. When you get off the highway this is the road to the acreage. More of the stream. I was surprised to see all the green plants this time of year. A nice pool with more fish. Isn`t that a beautiful sight?. I understand there are deer and javalina in the area too. I love the desert and it`s special places. That`s about it for today. It`s warm and I`m going to start yardwork. Maybe walk first. Have a great weekend! I figure maybe 3 months to complete the bedspread if I work at it often. We`ll see. Our rain today smells like spring. Unbelievable!